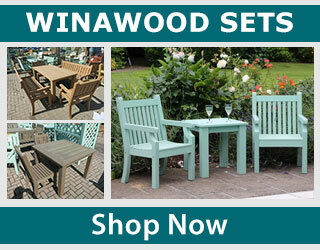 Winawood garden furniture gives you the best of wood, with none of the maintenance. 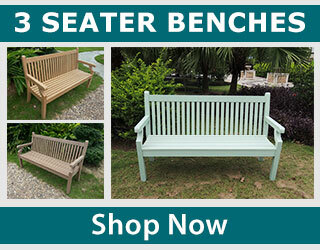 It’s available in bistro sets, benches, dining sets, love seats, and coffee sets, with UK home delivery. They are available in the colours teak, brown and duck egg green. Winawood is a revolutionary new type of furniture by Innovators International, a wood-effect garden furniture that’s built to look and feel like the classic wood, with a built in grain effect, however it requires no oiling, sanding down, or covering. It can be left outside all year round, with no maintenance needed. 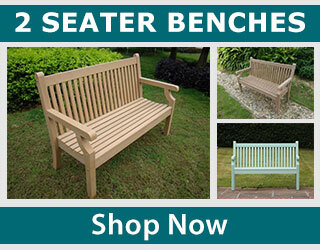 It comes in a range of benches (2 seater and 3 seater), chairs, tables, dining sets, bistro patio sets, and coffee sets, all available to buy online with UK home delivery. There are also love seats available, which have a central table allowing you to enjoy a drink with family or friends. Winawood comes with a 2 year manufacturers warranty against defects, which is automatically activated on your purchase. It’s very easy to assemble, because there are no warped parts and so the joints always fit together seamlessly, which can be seen by the various good Winawood reviews. We are an official Winawood stockists, and can provide you with any type of Winawood you need, including the popular sandwick thin slatted style.